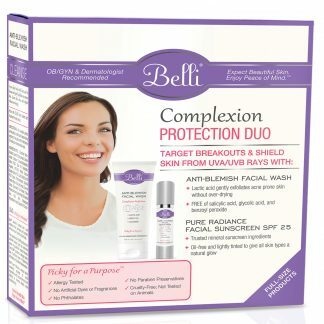 Belli Skincare is the only pregnancy beauty product on the market that teratology screens all of their products. No ingredients, natural or synthetic, used in Belli products has been linked to birth defects or miscarriage. For breastfeeding moms, Belli skincare products are LACTMED Screened so there are no harmful ingredients that are passed through your breast milk. Cruelty-free, OB/GYN and Dermatologist Recommended and Made in the USA, Belli Skincare has the best pregnancy stretch mark creams and lotions and pregnancy lotions!